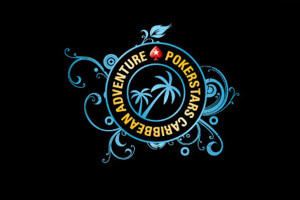 The time for the PokerStars Caribbean Adventure, one of the world’s most popular live poker events to be taking place on annual basis, has finally arrived. And what better way to kick off the festival than the $100,000 Super High Roller. Day 1 of the massive buy-in tournament was played on Saturday at the Atlantis Paradise Island casino resort, and saw a constellation of poker stars and celebrities from other industries engaging in a quality poker battle. 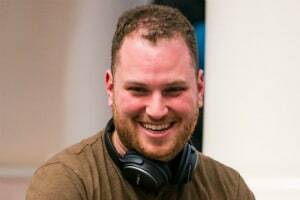 US poker pro Scott Seiver was the one to gain the most advantage during Day 1 action, collecting the largest chip stack after eight levels of play. The player bagged and tagged a total of 804,000 in chips to top the chip counts chart on Saturday night. Seiver is leading 33 survivors from Day 1 into the second day of action. Day 2 of the event is scheduled to begin today at noon local time. Registration into the tournament will remain open until the start of the day, which means that players still have the chance to enter one of the most exciting events on the global poker calendar for 2018. Day 1 of the $100,000 Super High Roller saw a total of 46 entries, including 12 re-entries. The tournament traditionally attracts some of global poker’s biggest stars, and it was not any different this year. Accomplished high rollers like Bryn Kenney, Igor Kurganov, Isaac Haxton, and Steve O’Dwyer are among those in contention. Defending champion Jason Koon was also among the players to survive through Day 1, despite the classy competition. It is also important to note that there is a fair number of Germans eyeing the Super High Roller title, with some of those being regulars like Stefan Schillhabel, Steffen Sontheimer, and Rainer Kempe. Popular comedian and poker enthusiast Kevin Hart entered the tournament for a second consecutive year. The player was eliminated shortly after joining the field by Seiver, but decided to fire a second bullet, which secured him with a spot among the Day 2 survivors. With live tournament winnings of over $23 million, Seiver currently stands 8th in the all-time money list. Over the course of his career, the US poker pro has cashed in as many as 104 live tournaments and has won an impressive number of those. Here it is also important to note that the player is now vying for his second PCA $100,000 Super High Roller title. Seiver won the 2013 edition of the major tournament, claiming a first-place prize of $2,003,480. Back then, the player topped a field of 43 entries to lay his hands on the trophy and the top prize. Seiver faced David Sands heads-up as the last obstacle before the title. Sands scooped a payout of $1,259,320 for his runner-up finish. As mentioned above, Seiver and the other 32 Day 1 survivors will resume play today at noon local time at the poker tables of the host casino. The prize pool and the places paid will be announced today, shortly after registration closes.